By thal in Maps on 26 mai 2015 . And we come to the end of my adventures mapping out the interior of Castle Gargantua. From here I will have to leave it in your hands – once Kabuki Kaiser releases the Castle Gargantua book you will be able to explore and map the massive halls and enormous towers of the castle yourself. Remember that these maps were drawn at a potentially cartographically-boggling 60 feet to the square. 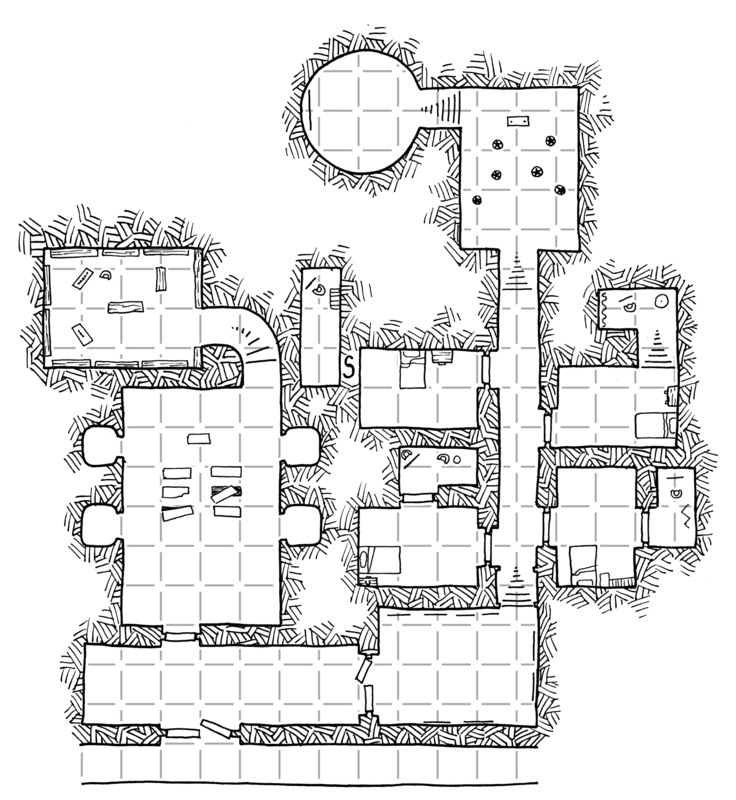 This first map really shows the difference in scale we are dealing with in the castle, with the mix of tiny furnishings in the middle of the floor of the entry level, and then various giant-sized goods stored in the attic levels. I also like the way the levels interconnect… and that of course there is a giant wasp-nest in the forgotten back room of the attic. Just like at my aunt’s place. 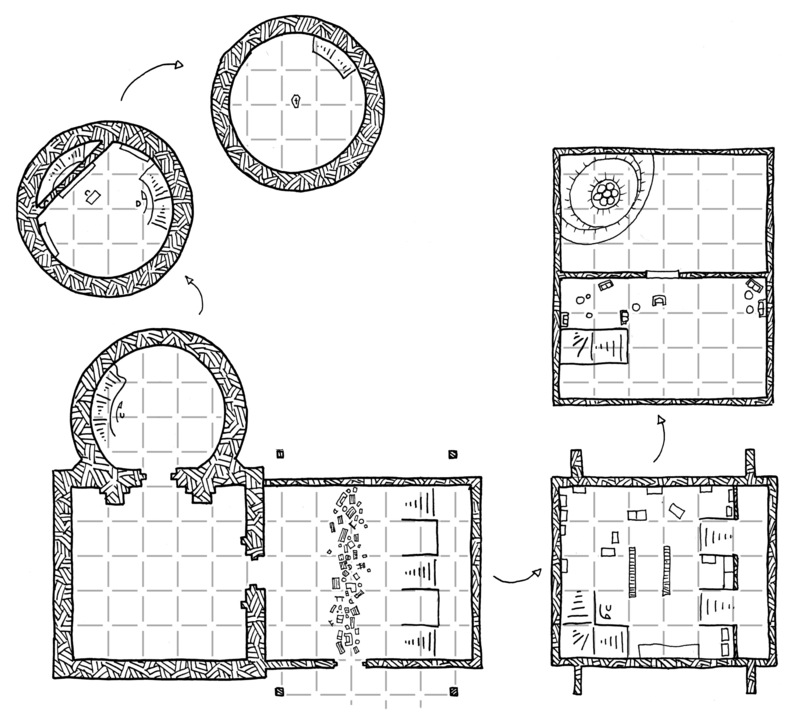 This final map is entirely in giantish scale, which makes it useable for any game, really (as you can switch the scale from 60′ to 10′ and no one except the giants will notice).